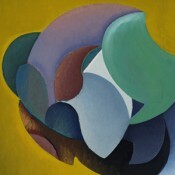 Born in Chicago in 1887, Manierre Dawson displayed an early inclination for art. However, to please his father, he studied civil engineering and took a position at a respected architecture firm upon graduation. 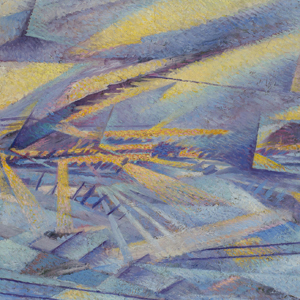 In 1910, just as he was beginning his engineering career, Dawson traveled to Europe where he was introduced to artists at the center of the avant-garde movement. 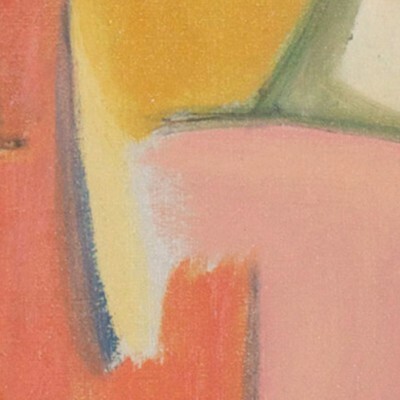 There he made his first sale of an early abstract painting to the poet Gertrude Stein, an adventurous collector and patron of young European artists such as Picasso and Matisse. Upon his return to Chicago Dawson was emboldened to continue his experiments with improvisational painting. When one of his works was included in the “Armory Show” of 1913, a landmark exhibition of international modern art, he quit his job to devote himself fully to painting. 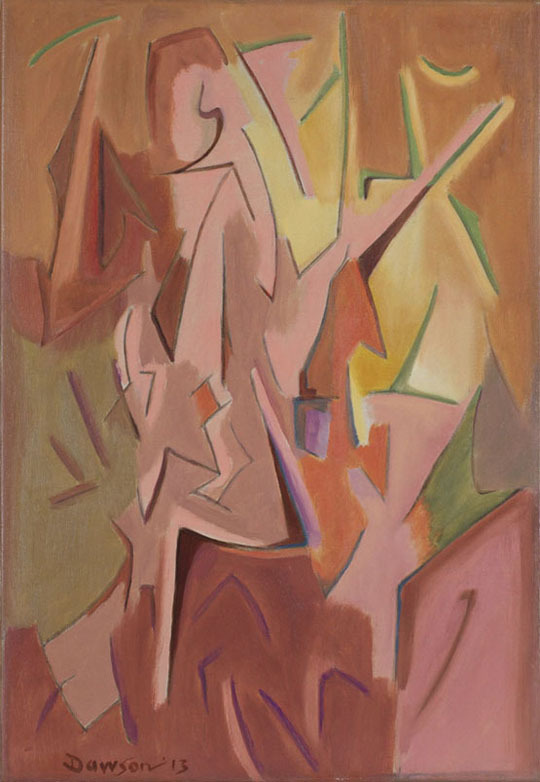 By that time he had abandoned traditional imagery altogether, focusing instead on the emotive possibilities of line, shape, and color as demonstrated by this forward-looking composition. 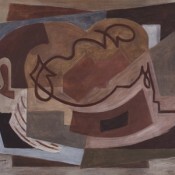 With works such as Essnzee, Dawson became the first artist on this side of the Atlantic to venture into the territory of a purely “non-objective” art. Manierre Dawson Journal entry dated April 22, 1911, as cited in Manierre Dawson, A Catalogue Raisonné, by Randy Ploog and Myra Bairstow. Published by: The Three Graces in association with Hollis Taggart Galleries, New York, p. 322. The original journal is in the collection of the Archives of American Art, Smithsonian Institution, Washington, D.C.